The illustrious time of the NBA trade deadline is upon us, as we see teams rushing to make last minute moves to improve their roster, or perhaps to blow it up. However, these moves have winners and losers, as there is always bound to be some. This trade deadline itself, is one of the biggest in recent history, as it was marked by the Cavs trading away Isaiah Thomas, and the Clippers trading away Blake Griffin. As we approached this, not many had a sense of what was coming, although the players moved were somewhat predictable, it is a surprise that some of them went to the places they went. How did your team do this deadline? Note: I won’t be doing Grades for small trades, such as simple cap dumps, or trades of small players. This is an intelligent move made by the Lakers, as they add a solid big man in Frye, and a great guard in Isaiah Thomas, as both of them have relatively small contracts, and do not take up cap. I would’ve normally given the Lakers a B+, as this was a solid trade, because Isaiah Thomas is no longer a star, at least for the time being, but I’m giving them an A as there have been many rumors of superstars wanting to go to LA in the 2018 offseason. In this deal they wiped both Clarkson and Nance’s expiring contracts, clearing up 45 million in cap space, giving them the opportunity to sign big name free agents such as Paul George and LeBron James, which would skyrocket them into the prestigious place to contend with the Warriors. To add onto this, Thomas only receives 6 million per year, which means he’s highly underpaid, and it contributes to their cap situation greatly. The real eye-catcher in this deal was not only the fact that they received two great players, but also a 2018 first, in a very stacked draft class featuring prospects such as Marvin Bagley III, and DeAndre Ayton. This was an overall great trade for them, and they are the clear winners as they have gotten a first, and a good big man, and a prodigious guard, while maintaining the chance to offer max contracts to highly demanded free agents. This was a decent trade by the Cavs front office, bringing two youthful players to The Land, however they could’ve done much better given the circumstances. Ironically, one of the players they traded, said he was tired of being traded, just to be mercilessly traded the next day. As many of you know, the Thomas experiment was not working out as expected, as the Cavaliers went into a huge slump as soon as Thomas came back, due to his lack of offense and atrocious defense. Thomas has the lowest Defensive Rating out of an NBA player in the past 20 years(minimum 25 mins per/game). That’s right, 20 years. Let that number sink in for a minute... The Cavs probably could’ve kept IT4, but they did not have anyone to cover for him on defense, as most of the Cleveland guards and big men are mediocre or average at best on defense. Another problem is, that the Cavs helped clear up the cap space needed for LeBron to sign with LA, essentially strengthening the Lakers chances of signing the world’s best player, and weakening theirs. They also bring in two huge contracts in Nance and Clarkson, and to add to that, both of their contracts are expiring this offseason, leaving them as unrestricted free agents. This was a huge gamble by the Cavs, as they do pick up a good scorer, but Clarkson is not very good off-ball, which is the role they will need him to play in Cleveland. This trade shows that it’s now or never for Cleveland, and that they better start winning soon. This was an above average trade by the Hornets, but by no means a good one, as they gave up the GOAT in Johnny O’Bryant, and two future seconds for a below average big man in Hernangomez. However, we have yet to see Willie’s full potential as coach Steve Clifford should be able to find him a lot of minutes to play alongside fellow big man Dwight Howard. This being said, having consistent minutes gives him the opportunity to play at a high level, and not have to worry about being taken out, as in New York he played just 8 per game. Giving up the two seconds was what made this an average deal for me, as it was fairly reckless for them to do this as their star Kemba Walker will most likely leave in free agency in 2019, or be traded before that, because let’s face it, the Hornets won’t be contenders for a long time, as they are on pace to have their third lottery appearance in four years. Hernangomez is a young player with a bright upside, and maybe can jump start this team out of mediocrity. The Knicks originally had made a decent trade, as they had acquired a decent big man to come off the bench that could’ve helped them finish the season with Kristaps out, but they waived Johnny O’Bryant right after they got him. Another thing is that both of the Knicks healthy big men have expiring contracts, as O’Quinn and Kanter both have player options at the end of the season, and Kanter will most likely decline as he will be a decently sought after free agent following his play this year. They did get two second rounders, which is a run of the mill return, as I doubt they will get any good rotational players out of them, but on the bright side they have a chance at being top 35 picks, as the Hornets future does not look good. The problem with these seconds is that the players they draft will most likely have a difficult time finding playing time, even if they draft a player like Hernangomez in the early second round. This move can go both ways, as Willie could play like an absolute god with the Hornets, or those two picks can develop into solid future players. This is actually a great move by Cleveland, but not A worthy, as they gave up one of their most consistent players in Crowder, but they did get back a young Rodney Hood and a veteran George Hill. However, they do take on a big contract with Hill, and it is a huge risk considering he’s 31 years of age, and will most likely leave if LeBron does. However, Hood pretty much replaces Crowder’s scoring ability, and will be a great shooter for the Cavs roster, which lacks shooting talent. They also needed another guard after trading away Wade for a protected 2nd. Hill, who will most likely be the starting point guard, provides an amazing veteran presence for the newly acquired younger guys. The Cavs created many chemistry wounds this offseason, but have hopefully mended them through their cathartic actions this trade deadline. Through these moves the Cavs have made themselves better fit for a series against the Celtics, and possibly for the Finals if they make it there. This was a good trade by the Jazz, and a bad one by no means, but they could’ve gotten a little more out of the deal, as they gave up a great young player in Rodney Hood, and a player with decent trade value in Joe Johnson. Many Jazz fans are angered by this trade, and they are rightfully enraged, as they traded away a fan favorite in Rodney Hood and another one in Joe Johnson, and essentially only got Jae Crowder in return. Crowder has underperformed up to this point, but with a couple changes of scenery, and most likely better chemistry, he could return to his normal form in Utah, or possibly be even better and breakout. The best part about this is that Crowder’s salary about one-third of Hood’s and he has 2 years left, which ensures he won’t leave this offseason. This could be possibly a positive, or a negative, but they waived Derrick Rose, which means they still have a gap at backup point guard. Derrick Rose was on a veteran’s minimum, which would’ve been very good for their cap, as he’s still averaging 10 points this season, which would’ve meant he could’ve been a solid option off the bench for the Jazz, and with more minutes he could’ve returned to the form he was in last year, where he was an above average player, and a pretty efficient scorer. Rose did request to be waived, so he could go to a contender, so they did. The Kings are able to get rid of a couple of huge salaries, making room to give their young core raises, or possibly sign a couple of solid free agents. They most likely will buy out Joe Johnson’s contract, but did get a 2020 second and Iman Shumpert in return. Shumpert is a very solid player, and the 2020 Second could always turn out to be a great player. Wade returns to a revamped Miami team who’s contending for a top seed in the Eastern Conference, and competing with the Cavs. Wade’s return is highly likely to inspire his teammates, and he brings good veteran leadership to pair along with a young defensive monster in Whiteside, and an all-star by the title of Goran Dragic. Wade comes home to the team that drafted him, his town, his home. This is extraordinary, considering the Heat had to give up a draft pick of basically no value, as it is a protected pick 6 years from now, and to add onto that, it’s a simple second rounder. Props to Miami and Pat Riley for making this deal, as they did not just get a hometown hero, but a 12 points per game scorer for a second round pick over half a decade into the future. What are you doing Cavaliers? The trades made earlier were pretty good, but seriously? You trade away LeBron’s best friend just a couple of months before he enters free agency, and to add onto this, it’s not because he was performing under par, but in fact he was performing slightly above average considering the role he played. This is a high risk move, with pretty much no upside, as the Cavaliers did clear up a little cap space, but have impacted LeBron’s Chance of re-signing very negatively. The other thing wrong with this deal, is that they couldn’t even get a decent player or pick out of this, not to mention get a pick within the next 5 years without major protections. Overall, I think the Cavaliers GM was completely clueless on this move, as I feel he could’ve gotten a bit more in return for Wade. No, I’m not biased, I genuinely think the Bulls won this trade and for a few reasons. This was a pretty good trade for the Bulls, as Mirotic wanted out ever since the altercation with Bobby Portis, and this well enough may have been the best deal they were offered. However, they got no solid players, and to put it simply, washed up ones in Asik, Allen, and Nelson. 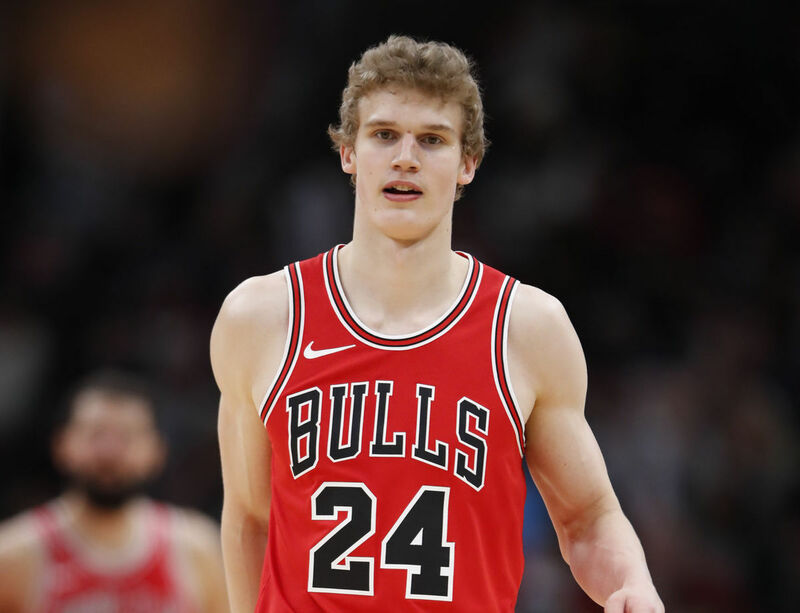 The Bulls did get a 2018 New Orleans pick, which will most likely be huge as it will be a lottery pick(assuming they don’t make the playoffs), but not good enough to be top 5, which puts the Bulls in a perfect situation if the Pelicans land the 7th or 8th pick and they can draft a great big man, or possibly trade up using their own pick to draft Marvin Bagley III, giving them two dynamic duos, one in the backcourt and one in the frontcourt. The Bulls will also receive the rights to swap picks with the Pelicans, landing them a possible top 35 pick, which can definitely turn out to be an above average player if used correctly. The Bulls however, did end up giving a second, which will be a top 45 pick, and is something they definitely shouldn’t have done. The Pelicans got an amazing role player and a definite sixth man of the year candidate in Nikola Mirotic, for practically nothing but a first. Sure, they did trade away that first, but if they end up making the playoffs it could end up not mattering that much, as Mirotic helps fill the gap lost by Cousins getting injured. They did get rid of Asik’s horrific contract and got a decent sized one back, meaning they can make a push to re-sign DeMarcus Cousins on a max deal. This will prove to be huge, as they also cleared up two roster spots filled by guys playing virtually no minutes. The Pelicans received what they needed, a shooter. The Pelicans needed a nice spot up shooter to compliment Anthony Davis, as their roster isn’t filled with many shooters, which means they don’t have very good floor spacing. Mirotic will change that, providing room for Davis to do his thing and get to the rim at will. The biggest part, is that it saves the Pelicans playoff hopes, which will definitely impact what they do in the offseason, and even the next, as Cousins and Davis will be more inclined to re-sign, instead of going their separate ways. Exactly one week ago when this trade was made, I would’ve said it was a fleece by the Clippers and Jerry West, but now, I think Stan Van Gundy made a quite good trade, but the question is, is it too early? Should the Pistons have gotten a star this early, or waited for the offseason, and then got one? Anyways, those aren’t questions for me to answer, but the facts say that ever since Blake was traded the Pistons are 5-1, ironically losing to Blake’s former team, the Clippers. The Pistons went from out of the playoffs, to now possibly a top 6 team in the East, and to having a possible dark horse playoff run. They now own the best big man duo in the NBA(as Cousins got hurt, so for now it’s Drummond and Griffin), but Blake is very injury prone, so the hands of the Pistons franchise lie in his health at this point. When this trade was made, there were many concerns on whether Blake and Drummond would be able to coexist with each other, and they have not just done that, they have meshed into one unit. While BG and the Drumstick(yes, I just made up Andre Drummond’s new nickname, so when it blows up in 2 years you will have to pay me royalty to use it) himself are outscoring opponents by 30 points per 100 possessions, which is absolutely breathtaking when you put it into perspective. Even if they do make a playoff run of their own, there are many long term concerns regarding the contract of Blake Griffin. He is set up to have a 39 million dollar player option prior to the 2021 season, which he will most likely exercise as no team will want to pay him that kind of money at the old age of 32. However, none of that will matter, if Detroit becomes a perennial 48-55 win team, and possibly sign a great guard to boost them into contention. The Clippers have gotten so much better in this trade as Blake, to simply put it, was not winning games for them. They receive one of the league’s best young players in Tobias Harris, who at the youthful age of 25 is already a perennial all-star candidate. They also one of the best perimeter defenders in the world with the acquisition of Avery Bradley, which is a huge step into adding numbers to the win column, as their perimeter defense has been subpar this year(with the exception of Patrick Beverly). They also got a 2018 first from a mediocre team, which will prove to be huge in their rebuilding process, as they can draft a great young player. One thing I was confused by, was the Clippers extending the contract of Lou Williams, who is 31 but got a 3 year extension. If I were them, I would’ve traded him at the deadline as he is playing like an all star this year, and definitely has the trade value to get a first and a good young player out of him. This is a good trade by New York, but by no standard great. They gave up a second, which I don’t care if it’s a second rounder, if you’re rebuilding you should never give up picks. However, since it will be a later second, it’s not that big of a knock on the Knicks grade. I am sad to say it, but the Knicks front office finally did something right, although it took them a couple of years to do it. Getting Mudiay is a great buy for a team that is only rebuilding this season, with Kristaps Porzingis tearing his ACL. McDermott is performing decently, but Mudiay is a better player by far, and he also has a better contract, that means the Knicks won’t have to pay Mudiay long term, at least until he starts performing consistently and well. In spite of having a better contract, the Knicks will have to re-sign Mudiay after next season, which means he may go somewhere else. Even if he does go somewhere else, it’s not the biggest risk, and there’s definitely a greater reward than the risk they’re taking. The one thing the Knicks will have to do as a result, is being Jarret Jack’s minutes way down, as Mudiay and Ntilikina both need more minutes to competently develop. Devin Harris is a floor general and an overall good player, but he’s 35 and really isn’t performing up to par for the role he’s playing. Dougie McBuckets gives them a great spot up shooter on the wing, and he’s only in his 4th season, aiding in the rebuild process for the Mavericks. He will most likely be one of the best scorers on this run of the mill team, which will help them hugely as their offensive output should go up night in and night out. McDermott, being a restricted free agent this offseason will most likely be a part of the Mavs rebuild for years to come. The Mavericks also got a second rounder, which getting any pick is a great acquisition for a revamping team, especially when you have to give up a player that seemingly cannot escape the plague that is mediocrity. Yeah Nuggets, what were you guys thinking? Turning Emmanuel Mudiay into a 35 year old, with an expiring contract seems like a disrespect to Mudiay’s trade value. Mudiay was the number 7 overall pick just 2 drafts Ago, and is still a very gifted and athletic player. The Nuggets could’ve received much more from this deal, as Mudiay’s sheer trade value isn’t showcased by this deal, as many teams would most likely want a young guard like him, to either come off the bench, or maybe even start. Congratulations Suns fans, you guys just got yourself a young point guard to pair along with Devin Booker, for a mid-end second round pick which most likely will amount to nothing. Elfrid Payton is a solid player, but the Payton Project was just not working out in Orlando, and he was entering restricted free agency. The Suns, being the geniuses that they are, decided to capitalize on this situation, and buy low on him. In his first game with the Suns, he had 19 points, 6 rebounds, and 9 assists, and so far this is looking amazing for the Suns. Not only this is a great trade for this season, but as long as they manage to re-sign Elfrid to a long-term deal, we could be looking at a Steph Curry and Klay Thompson esque backcourt in a couple of years. There is literally no downside to this move, as if Devin Booker and Payton don’t play well together, they don’t have to re-sign him, and if they play amazingly together, they have his bird rights in a dead market. Come on Magic, I know Elfrid wasn’t of much trade value, but a second rounder from slots most likely 45-55? Ok, I really wanted to give this trade a D for the Magic, but I’m not that cruel and heartless. The Magic could still potentially draft a top notch player in this stacked draft class, and who knows, maybe a couple of years down the road he can become a key piece to their championship hopes. The Magic could’ve waited until the summer, secured him, and traded him which would’ve given him a lot more value. He’s also a very efficient scorer, shooting above 52% on the season, and he has great court vision and does not make careless passes like some other “great” point guards, as he averages about 2.5 assists per turnover. Overall, if I were the Magic I would’ve waited this one out, and given Elfrid some more minutes and handed him the keys to the offense, which I believe Phoenix should do. Ahh, we’ve winded down to the final trade that in my opinion is worth talking about, and wow, did Sean Marks finesse the Bucks. The Nets acquire their third second round pick in this draft, which means they may be able to trade up, for an early second or a late first. This will prove huge, as we are very used to the Nets not having picks, at least in recent memory. This will open up minutes for semi-newly acquired Jahlil Okafor and some other young big men. They also get Rashad Vaughn, who by no means is a bad player, but actually is quite decent. He’s only 21, and has a lot of upside, he is just unable to get the minutes he deserves. In his 7 minutes played in Milwaukee he was able to chalk up almost 3 points, 1 rebound, and 1 assist, which is actually pretty good. Anyways, great deal for the Nets, as Zeller wasn’t doing much for them and just taking up another roster spot. Getting Zeller doesn’t really hurt the Bucks, but I don’t see it helping too much, and I see it as a rather pointless move. Zeller is a good defender and rebounder, which is a breath of fresh air from rookie DJ Wilson, and young(or possibly old) Thon Maker. The Bucks essentially gave up Vaughn, one of their only trade pieces as most of their other players are untouchable. They also were forced to give up a second, which is absolutely ludicrous. Bucks, I think it’s safe to say you lost that one. What did you guys think of those moves? Did your team do well this trade deadline?